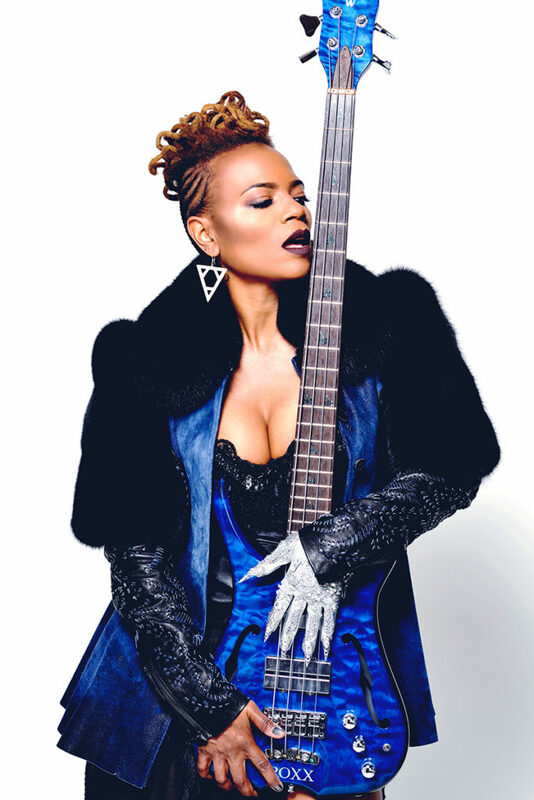 Divinity Roxx - jessica Care moore's Black WOMEN Rock! 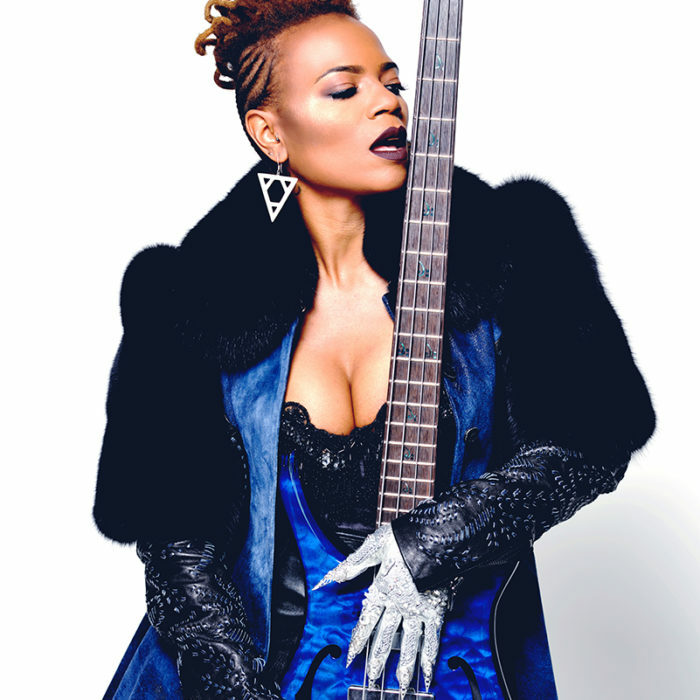 Inspirational and genuine, Divinity Roxx has made the leap from side woman to Beyonce, to front woman of her own genre-bursting, honest, and compelling musical journey. Her career as a bass-player skyrocketed after attending a bass camp led by the legendary Victor Wooten where she was invited to tour with him merely three months after the bass camp. 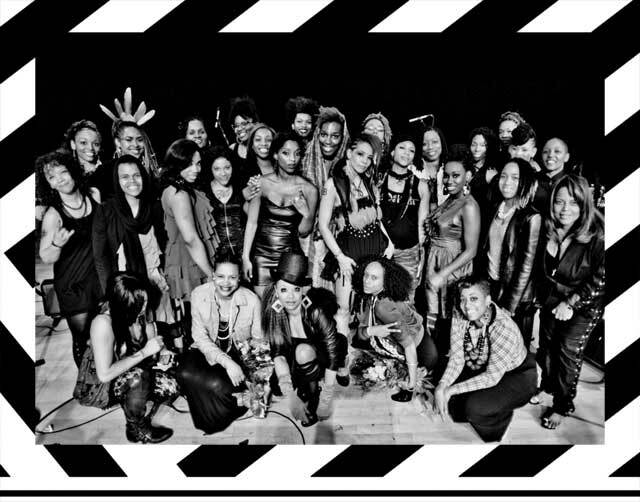 After touring with Victor for 5 years, she auditioned for Beyoncé and was selected as a band member and assistant Musical Director. Divinity has appeared on countless television shows including: The Grammy’s, Saturday Night Live, Good Morning America with personal highlights including a special performance at The White House for President Barack Obama. Divinity also acted as the Musical Director for K-Pop sensation, 2NE1 and joined them on their first worldwide New Evolution Tour in 2012. She played The Arsenio Hall Show, 106 and Park and The Queen Latifah Show with rapper B.o.B. and has backed legends like Patti Labelle, Kelly Rowland, Erykah Badu and Gladys Knight on BET’s Black Girl’s Rock television show. Despite these appearances with so many legendary and iconic figures, it is in her solo performance Divinity shines the brightest. Her ability to simultaneously play bass guitar while fronting her own band captivates audiences around the world. Her 2015 release ‘ImPossible’ received critical acclaim as the ultimate mash-up of hip-hop, rock and funk, featuring an appearance by her mentor and Grammy award winning artist Victor Wooten. Divinity’s live performances are electrifying and uplifting. A fan recently wrote to Divinity after a show in Toronto: “Amazing show. The surge of life and light that comes from Divinity had me three feet off the ground. So glad I was there. You’re fantastic Divinity. Hope I wasn’t too loud. Much love; -Tonyintoronto.